Here is a weekend digest of stories you haven't read about. These are all good stories that don’t warrant a whole page just for themselves, so get a cup of coffee, sit back and enjoy. You won’t see this 2019 Subaru Crosstrek GT Edition on U.S. shores. 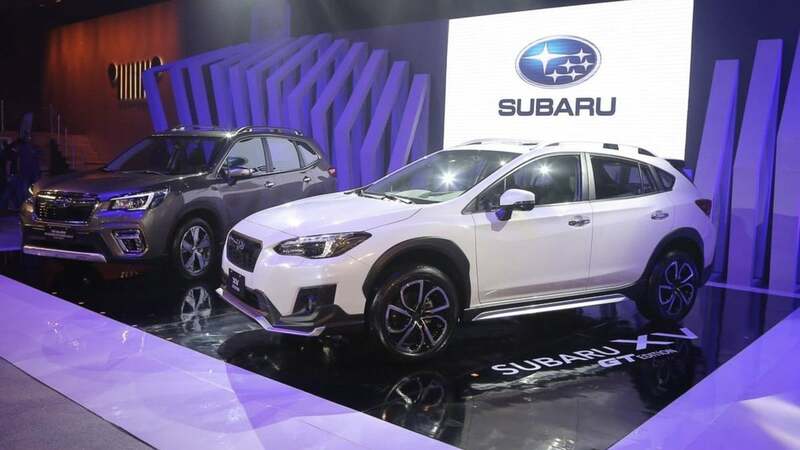 Subaru Asia just unveiled a Crosstrek GT at the 2019 Manila International Auto Show. This Crosstrek GT Edition (XV in global markets) was designed exclusively for the Asian market and was created in collaboration with Giken and Masahiko ‘Jack’ Kobayashi, who was Subaru’s chief designer and designed the WRX STI. What makes this Crosstrek special? It comes with a new front bumper lip extension integrated with canards. It also features a longer roof spoiler, new side skirts, an extension on the rear bumper and rides on bespoke 18-inch wheels. Interior upgrades include European style leather, and to assist while parking, the car features a dual side view monitor system. Unfortunately, it comes with the naturally aspirated 2.0-liter boxer engine. Why don't we see this Crosstrek GT in the U.S. market? Subaru of America COO Tom Doll said recently at the Chicago Auto Show, Subaru won’t be bringing any special edition Crosstrek or Forester models anytime soon. Doll says it's because demand is high and Crosstrek is selling too well for the Japanese automaker to offer performance versions. Doll went on to say, "You could argue, and some people do, that for the Crosstrek we should have a higher-performance engine in that car, but on the other hand, we're selling as many as we can get. We haven't really hit the top with the Crosstrek yet." The second story comes all the way from Spain where Subaru doesn’t have a big presence but has just launched a 2019 WRX STI Final Edition. Subaru Europe is axing the STI and Spain gets only eight units of the Subaru WRX STI Final Edition models for performance fans. Six of them wear the iconic WR Blue Pearl exterior color, and two are painted Crystal Black Silica. All eight cars ride on identical 19-inch wheels with a gold finish. But there are no engine upgrades on these limited edition STIs. 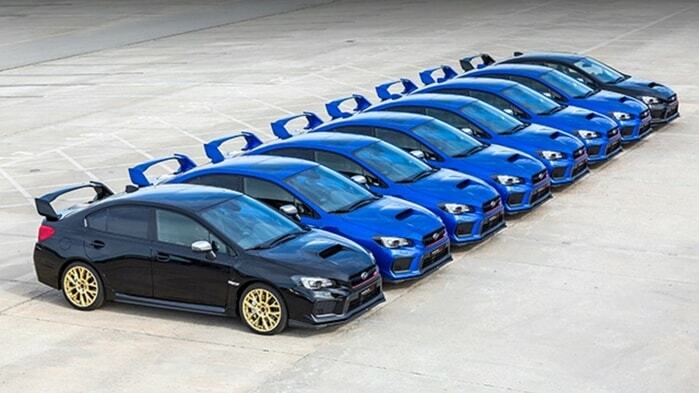 If you live in Spain you better be quick if you want one of the eight WRX STI Final Edition models. Subaru is taking orders now. How much will one cost? $64,587 USD. If you haven’t noticed, Subaru is passionate about protecting the environment. They have a zero-waste factory in Lafayette, Indiana where they produce Outback, Ascent, Impreza and Legacy models. Subaru recently announced they will continue their partnership with TerraCycle, the world’s leader in the collection and repurposing of complex waste streams. The partnership will help divert hard-to-recycle waste from landfills and incinerators through the automaker’s environmentally-focused philanthropic platform, Subaru Loves the Earth. Subaru and TerraCycle together have recycled more than one million pieces of waste, and the collected waste was turned into high-quality recycled products such as park benches and picnic tables and donated to community partners. Speaking of protecting the environment. This story comes from Breckenridge, Colorado where Colorado Parks and Wildlife are reminding those living in bear country to be “bear aware.” Cate Siegel who owns a 2014 Subaru Forester had it destroyed this week by a hungry bear looking for food after his long winter hibernation nap. Siegel left “Gummy bears on the seat and the bear’s nose could smell them from outside the car. Siegel told CBS 4 Denver the candy was in a sealed bag, part of a gift basket from an event the night before. 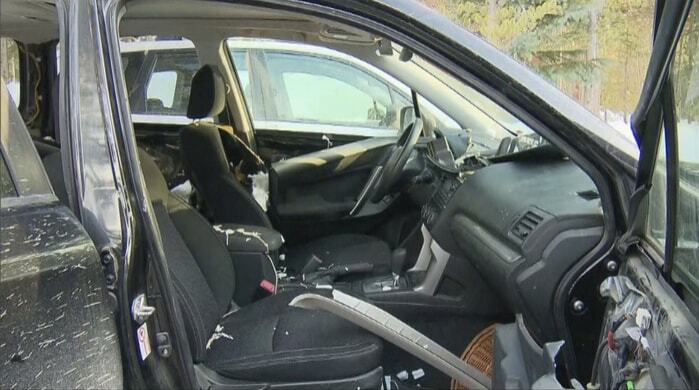 The bear destroyed the inside of her Subaru Forester and even “left a little surprise in the backseat,” she laughed. Leave your comments below, share the article with friends and tweet it out to your followers!